Create professional looking websites with fun & ease! Allows you to make your own website & website structure based on over 3000 graphical templates (fully customizable), featuring all kinds of Web 2.0 features. All-in-one package. You don't have to look for extra tools elsewhere. Everything you might need is included in EZGenerator's website builder. You want to create a professional website without graphical skills or technological/HTML knowledge and yet still have all the added extra's such as BLOG, Calendar, e-Commerce, Googel services, Guestbook, impressive image slideshows, PodCast, Counters. Learn more. 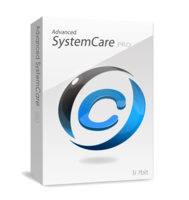 Top System Utility for Your Superior PC Health Advanced SystemCare Professional provides an always-on and automated, all-in-one PC care service with anti-spyware, privacy protection, performance tune-ups, and system cleaning functions. Advanced SystemCare Professional, award-winning flagship product of IObit, is recommended most often by IT experts and editors around the world. Platforms: Windows 7, Windows 2000, Windows Server 2003, Windows Vista, Windows XP. Learn more. Graphic Design templates. Pre-designed layouts with photos and artwork. Easy to customize and ready to print. If you're faced with time limitations, budget constraints or simply need new creative ideas, let our designs do the work. Brochure, Flyer, Newsletter, Postcard, Ad and Letterhead, Business Card, Menu and Sale Poster templates. Product Highlights: Set up for producing exceptional-quality color printing on commercial presses or inkjet and laser printers, the fully editable templates include high resolution 300 dpi graphics. Each template has its colors accurately defined with bleeds allowed and folds set up. They are available in QuarkXPress™, Adobe® InDesign®, Adobe PageMaker®, Adobe Illustrator®, CorelDRAW®, Microsoft® Publisher and Microsoft® Word. Learn more. ActiveCampaign email marketing software is the leading web based email marketing software for creating, managing, and extending your email marketing & auto responder campaigns. With no monthly fees (with the downloaded version) and need for technical expertise, it is a great solution for a beginner or advanced email marketing user. Take full advantage of all the email marketing possibilities include email split testing, graphical reports, list segmenting, subscriber actions, detailed subscriber tracking and much more! Try it for free. Pilot Group Email Newsletter Software is a new opportunity for your web site. With this program you can easily improve the popularity of your web site within a short period of time and, thus, boost your sales. Pilot Group Email Newsletter Software is a newsletter management system. Using this program, you can just create your message and multiple mailing lists and let the program deliver your letter to every person in one or another recipient list. Learn more.